Car museums are some of Branson attractions where you can see cool cars and some of the best cars from movies. The car museums in Branson that feature great display of cool automobiles include the Celebrity Car Museum, Branson Auto and Farm Museum, and Annual Super Summer Cruise at the Shepherd of the Hills. These car museums in Branson give you the opportunity to see motor vehicles of your dreams and a variety of famous cars seen in Hollywood movies. Celebrity Car Museum in Branson features a great display of vintage cars from famous Hollywood stars. Inside the museum, you’re sure to feel the fun and excitement when you see a car featured in your favorite movie or television show. Don’t forget to pose with the famous car for a lifetime photo opportunity, it’s a wonderful experience and a great memory to take home. This car museum in Branson features a showroom that hosts anywhere between 75 to 90 cars at a time. It also has displays of assortment of various classic cars, street rods, muscle cars, and celebrity cars. Most of the cars in the showroom are generally for sale, so when a car is sold, it opens up for another one to display. 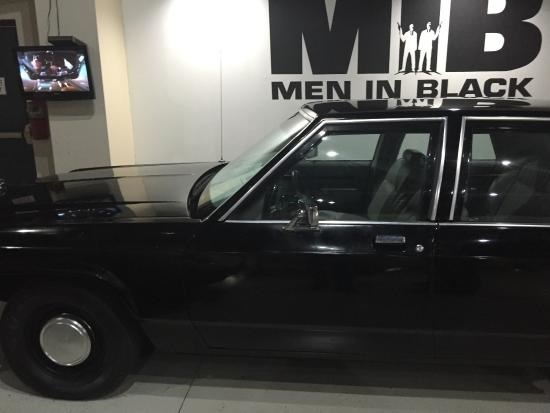 You will find in this museum vehicles that were featured in “Back to the Future,” “Batman,” “Fast & Furious,” “Men in Black,” “Deep Impact,” and “Smokey & The Bandit.” The museum has displays of cars that belong to diverse celebrities such as Anna Nicole Smith, James Brown, Andy Griffith, and Steve McQueen. Some of the classic cars on display in the museum include the 1939 Packard Safari used by Winston Churchill for Big Game Hunting in Africa, Paul Harvey’s 1938 Nash , and the Cadillac limousine in which Jacqueline Kennedy road during the funeral of President Kennedy. The displays of vintage vehicles are changed often, so some car enthusiasts come back often. What’s unique with the Celebrity Car Museum is that most of the cars on display can actually be purchased but will be replaced by another one making it a revolving museum. Some of the cars to view in the museum include the vehicles from Herbie The Love Bug, Back to the Future Delorean, Fast & Furious movies, and Barricade from Transformers. You can also see cars that come from Mission Impossible, Breaking Bad, James Dean’s documentary crash, Andy Griffith’s personal Honda motorcycle and more with something for everyone. This car museum is a great place to feel the excitement as you stand next to famous celebrity cars like the 1982 Trans Am in the Knight Rider TV show with famous star David Hasselhoff. Another interesting famous car on display inside the museum is one of nine 1950 Lincoln Limousine, that was custom built for President Truman and through the Eisenhower and Kennedy administrations. This famous car museum really gives visitors a wonderful and memorable experience as they see celebrity cars and find it exciting to feel like meeting a Hollywood star. Branson Auto and Farm Museum is another car museum which features more than 100 classic cars including race cars, brass, celebrity, muscle, and special interest vehicles. This car museum location originally opened in Spring of 2009 dedicated to the appreciation and conservation of celebrated automobiles. However, the museum was completely demolished by the tornado in 2012. The museum was rebuilt even bigger and has grown with a farm portion. The museum has wide display of classic cars, collectibles, tractors, cannons, and other farm equipments. The new facility has an area of more than 20,000 square feet. When you take a self-guided tour of the museum, you can have the chance to get up-close to some of the rarest and most historic cars in the world. The Annual Super Summer Cruise at the Shepherd of the Hills Historic Homestead is another interesting place to see more classic vehicles. This is a premier car event in Branson, Missouri that is held annually in mid-summer. This car show features the Show ‘n’ Shine with over 500 cars and trucks on display at the Shepherd of the Hills Historic Homestead. This summer event ends with a parade of vehicles down the Shepherd of the Hills Expressway called Midnight Cruise. If you are one of the car enthusiasts visiting Branson this summer season, don’t miss to see this fantastic parade of classic vehicles. With the high volume of car enthusiasts planning to see this annual car event at the Shepherd of the Hills in Branson, there may have a kind of room availability issue or some room rates in hotels may tend to increase. But it’s actually easy to find cheap and discounted hotel rates near Shepherd of the Hills and other hotels in Branson that are affordable for individual or group of guests. The Annual Super Summer Cruise car event in Branson is the perfect way to revitalize your energy this summer with fast paces, custom and classic car action. This annual car show in Branson offers a unique opportunity for anyone interested to see different kinds of classic cars and trucks. As part of this annual car festivity at the Shepherd of the Hills in Branson, there will be a burn-out contest, midnight cruise, live entertainment and awards as the Shepherd of the Hills Expressway is overcome with automobile mania. Most of the cars featured in this event are 50’s and 60’s models, but you’ll also find newer models such as Corvettes, pick-up trucks and even the occasional imported cars. Whether you just want to display your car or just want to see a wide variety of classic cars, the Super Summer Cruise is definitely the perfect car event in Branson that you should not miss. The Shepherd of the Hills Expressway is going to be flooded with classic cars, trucks and other unique vehicles as Branson’s largest annual automobile event is set to begin. This Annual Supreme Summer Cruise in Branson is on track for another stellar event next season, according to Corporate Special Events Coordinator Robin Withrow. If they were on the right direction last year, they believe that this year is going to be pretty much the same or more and it’s sure going to be another tremendous show. 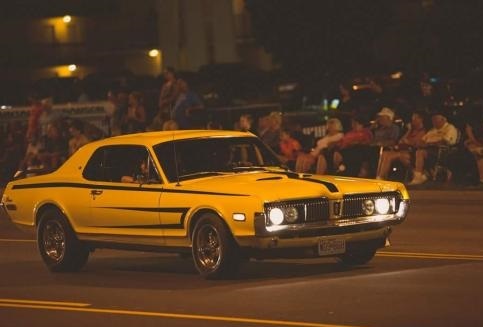 This annual summer event at the Shepherd of the Hills Expressway expects more than 600 cars and trucks to participate in not only the car show but the midnight cruise. During the grand finale of the midnight cruise, all the cars that participate will be on display at the Shepherd of the Hills Historic Homestead. Visitors can see some of the car owners who have captured some of more than two dozens awards that are to be handed out at the event.